Genetically modified skin cells added to cultured skin substitutes may fight potentially lethal infections in patients with severe burns. “If we can add these genetically modified cells to bioengineered skin substitutes, it would provide an important defense system boost during the initial grafting period, when the skin is most susceptible to infection." In a three-year study, Supp isolated the HBD4 gene from donated tissue samples, and transferred it to surface skin cells to enhance the skin's infection-fighting abilities. The test cells were then infected with a type of bacteria commonly found in hospitals and allowed to incubate. Analysis demonstrated that the genetically altered cells with HBD4 were more resistant to microbial infection. Dr. Supp is a University of Cincinnati (UC) faculty member and researcher at Cincinnati Shriners Hospital for Children. 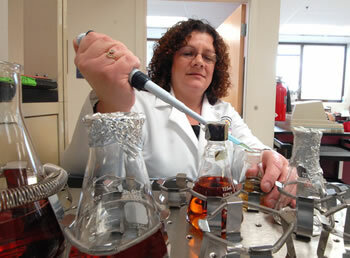 She believes that defensins could become an effective alternative method for burn care and infection control. This research is being announced in the January issue of the Journal of Burn Care and Research. The use of cultured skin substitutes for patients with large-scale burns has been in use since the 1980's. Patients with burns covering large areas of their bodies are especially prone to serious infections, often resulting in death. Cultured skin substitutes are actually grown apart from the patient in the laboratory, using cells from the patient's own skin to guard against rejection by the body. The cells multiply and are combined with a collagen matrix consisting of a spongy sheet and gel. The resulting "skin" is grafted directly onto the patient. Dattoos, DNA-based tattoos, may one day create seamless connectivity. If you hate being touched by your robot because of its cold metallic skin, take heart. 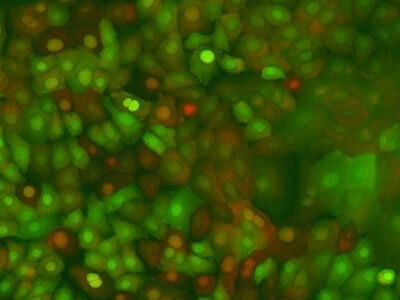 Read more about genetically altered cells; via MedGadget.